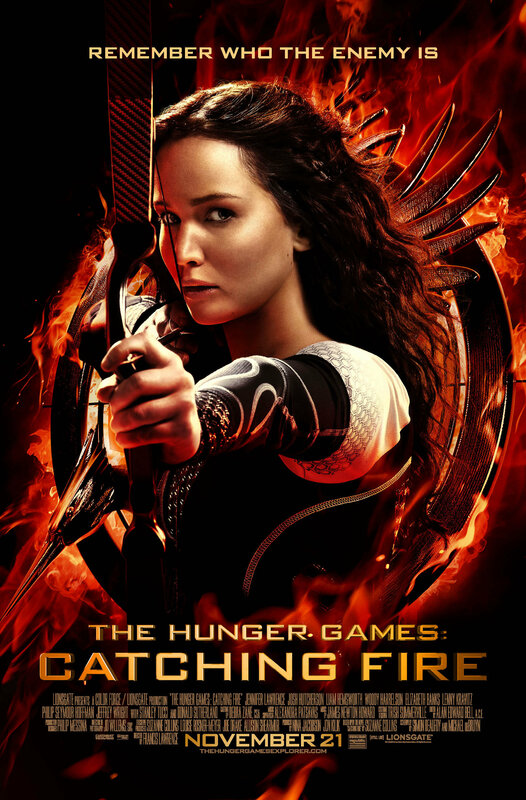 Yesterday I went to see the sequel to the worldwide famous “The Hunger Games”, and I honestly didn’t go with the idea of it being very good because even though the first one wasn’t bad, it still didn’t amaze me or made me feel as emotionally invested as I thought it would. But alas, it was a good film! Surprisingly so. I had read the book previsouly to have seen either of them and I have to say that the director and screenwriter have stayed up until now very loway to the books which pleases the fans. And for people who haven’t read them, then can still understand the storyline and relate to some of the characters. Now this in this film, we see a completly different Katniss. She is not the defenseless (well she was never really ‘defenseless’ but you know what I mean) little girl we saw in the first one who had no hope of surviving in the feared Hunger Games and yet she surprised everyone, most of all herself when she surpassed every single obstacle that came her way. And we can see how that eventually came to affect her in this sequel. We see her battle a somewhat post-traumatic disorder, where she has hallucination of the people she killed in the arena. Young kids, just like her. She sees them all the time, in her sleep and when she feels most troubled in her waking state. But out of all of them, the one she never forgets and that haunts her the most is the memory of Rue. The little girl who was her ally in the first film, and the one she couldn’t save from the hands of another tribute who killed her in cold blood. She never forgave herself, and probably never will, and it’s with that regret that when she apologizes for Rue’s untimely death to her family in District 11, when the Victory Tour commences, an old man just lifts of his hand with the three fingers lifted in a sign of respect, admiration, love, but most of all of revolution. That simple gesture triggers a whole series of events throughout the film, because that is where you see the first signs of the eminent revolution begin within the districts and the Capitol itself. We see Katniss trying to overcame everything and everyone that tries to break her down. Yet we do see her mental state starting to progressively start to deteriorate through the film and is it an incredible journey to be able to accompany. Later, when they existing victors are all reaped once again to fight till the death in a new version of the Games, we see the alliances form and we see that this time around, they all know what they need to do to win. Yet, this time it’s not about one of them winning. No. It’s about saving Katniss. Why? Because she’s the mockingjay. She’s the symbol of hope. The beacon of an eminent revolution to, finally, take down the power of the Capitol once and for all. and if she dies, the hope dies with her. So some of the victors have been assembled so their sole purpose within the Games is to protect Katniss at all costs. Even if it means losing their own lives in the process. This is all happening without Katniss having the slightest clue because they all know that if she knew, that was going on, that they were trying ti save her life instead of Peeta’s or someone else’s then things would have been very different. So we embark on this journey of pain, loss, fear and hope. I also quite enjoyed that in this movie they focused a lot on psychological pain rather than the physical part. We see the deterioration of the character’s mental states. The scene when Katniss and Finnick hear in the jaberjays the screams of pain of their loves one’s, specifically Prim (Katniss’s little sister) and Annie (Finnick’s beloved), we see the extent of how “damaged” they both are. And it is thrilling and very emotionally intense to watch, even if it is just on screen, people go through that. So I can definitely day that The Hunger Games: Catching Fire was a very enjoyable experience and that Jennifer Lawrence was definitely the star in it without a doubt.